Drug trends are strangely similar to fashion trends, with certain drugs being more popular at different times than others (for example increased methamphetamine use of the west coast, while more prevalent oxycodone use on the east coast), experimentation with newer designer drugs and periods of increased abuse. In this chapter, we will look at the more common drugs that are used today, their effects on the user, and their prevalence in the US. These are some of the reasons why this drug trend is the most common illegal substance reported in auto accidents. Testing for Marijuana is extremely difficult in the field, and that is why it is best to consult an expert witness like Okorie Okorocha to obtain reliable results and evidence. Opioid overdose is a serious global crisis that is being actively fought by the US government. Due to the variety of forms that the drug can be obtained in, it is very difficult to test for and to draw the fine line between a therapeutic dose by someone who is in need of pain relief or an overdose by an abuser. It is extremely difficult to test for reliably in body fluids; usually a full lab analysis involving gas chromatography has to be performed. This is just a brief look into some of the drugs that are available in the US and abused daily. There are many, many more but most have one thing in common; they are extremely difficult to detect reliably. Drug testing uses a plethora of techniques and equipment. The more advanced laboratories like those used by Okorie Okorocha obtain better results due to the higher detection rates of lower concentrations of the substance. Detection is also very dependent on sample type and time after initial use as well as the method of administration (e.g. injection). For example, a blood sample from a cocaine user will degrade over time (even if well preserved) due to its decay to benzoylecgonine in the blood, while a urine sample suffers less from this effect. This is when expert witness advice can make or break your case. 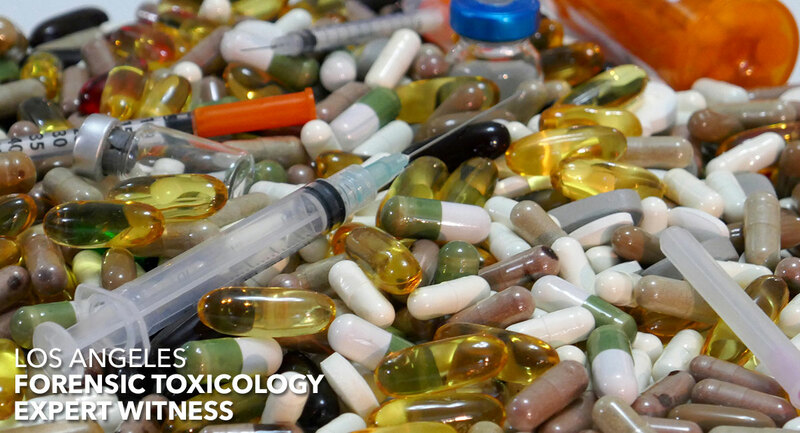 Stay tuned for more articles in our ongoing series of drug toxicology.